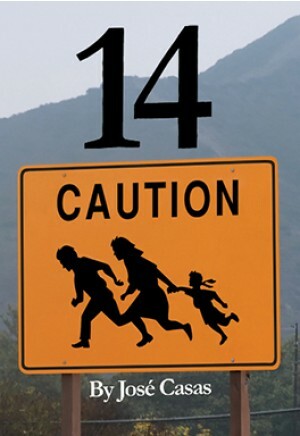 14 was inspired by the true-life event in May 2001 in which a smuggler abandoned 30 Mexicans crossing the desert near Yuma, Ariz., resulting in 14 deaths due to dehydration. 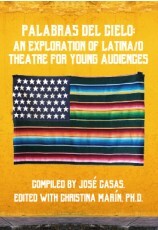 The play is an ethnographic exploration of immigration in the United States, in particular, coming from the perspectives of people living on the Arizona (U.S.) border and Mexico. 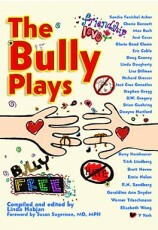 While the play is set in the Southwest, it is reflective of the type of dialogue happening nationwide. 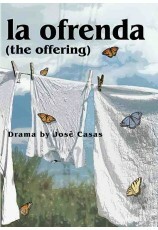 It is a fictionalized series of monologues based on playwright interviews and public accounts of Arizonans and Mexicans and their different attitudes toward the contemporary issues of not only immigration but also race and public policy. 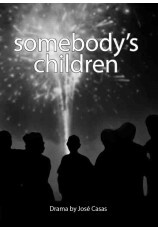 The subject matter connects to a myriad of other issues, such as representation, identity, violence and the concept of “home.” The characters are a collection of flawed and struggling human beings and range from the reverend creating water stations in the desert to save lives to the socialite who does not acknowledge her own prejudice, to the soldier who regrets fighting for a country he feels has exploited him, to the day laborer who only wishes to provide for his family. 14 is a starting point for exploration to investigate the complexities of the relationships of people living on the border, not giving answers but raising difficult questions. The mosaic of people included emphasize the importance of investigating this topic in a way that calls not only for action and conversation but, ultimately, for a collective solution.